This stylish Fashion charm not only looks cool, but also has space for small things that you want to access quickly. You can open or close the bag easily with the aid of a press stud. An extended chic gold chain offers styling possibilities on a handbag, such as the Lea that harmonises well with the gold-colored elements. 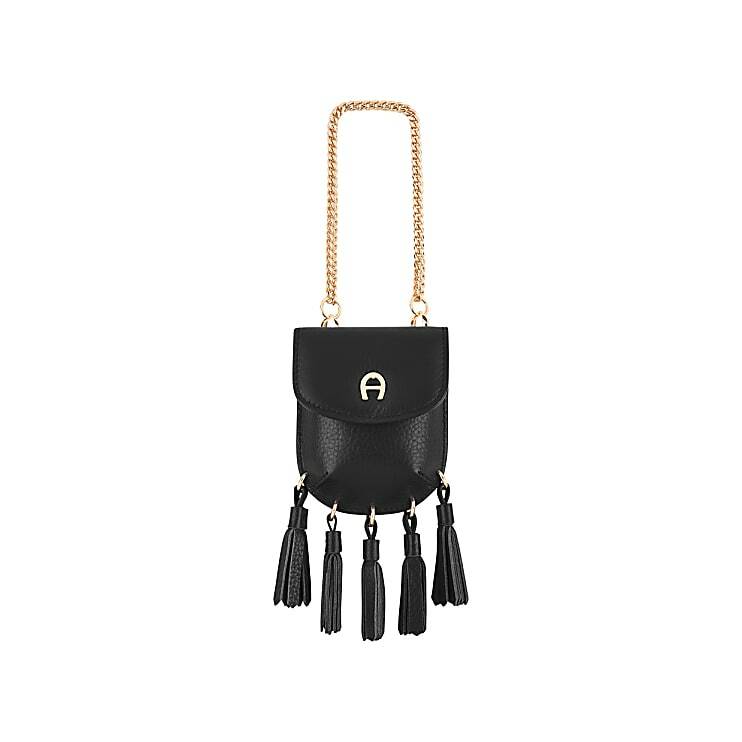 The leather tassels on the ends make the charm a real eye-catcher and clearly jazz up any style.